Underground operations at Talang Santo were suspended in 2017 as the operation proved to be uneconomic in the face of persistent operational challenges, safety concerns, and continued under-performance and high costs. Since then, Kingsrose has been exploring options for the potential recovery of the remaining resource at the Talanga Santo deposit, with the miner settling on an openpit operation after a study found that the openpit operation could recover the ore left in the upper levels of the mine. 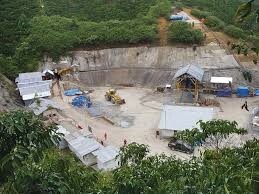 The company on Thursday announced that pre-mining waste removal has now started at the Talang Santo openpit mine. Talang Santo is expected to have an initial mine life of 22 months, with ore from the operation to be processed in conjunction with the Way Linggo opencut ore at the Way Linggo processing facility. The combined operations are expected to generate significant free cash flow for the company, Kingsrose told shareholders. Additionally, the company is also pursuing a multi-pronged exploration campaign at Way Linggo, targeting several highly promising prospects within the wider project area.